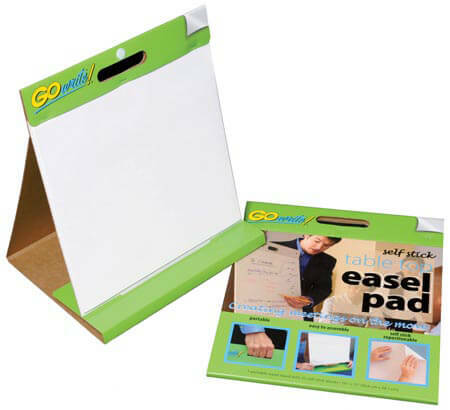 GoWrite!® is a portable, flexible dry erase paper that makes fantastic temporary whiteboards. GoWrite!® is an easy to use, low cost, high quality alternative to the traditional bulky, expensive dry erase boards. Use on meeting, conference or classroom walls, doors or even tables! Great for use on almost any hard, smooth, clean, non-porous surface is is guaranteed to erase!